While we’ll be enjoying the rebound, 70-degrees-warmer weather this weekend here, The Who’s Pete Townshend, producers and possibly lead singer Roger Daltrey will be working on the new studio album from the iconic rock band. But they won’t be working on the album in just any old studio. No…they’ll be on Pete’s barge working in his unique studio moored at St. Katherine Docks in London on the North bank of the River Thames, just a short distance from the Tower of London and Tower Bridge. Pete and company are preparing computer sessions to start the process of turning his recorded songs into new Who songs. 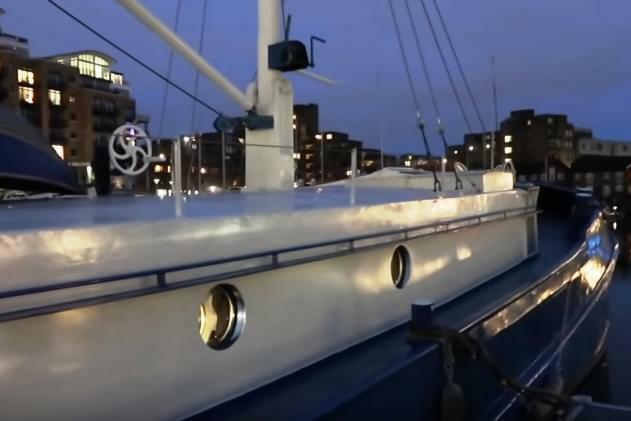 Check out the studio as Townshend gives a brief video tour of his barge studio on water in the heart of London. Townshend’s stipulation to tour was that Roger sing vocals on the songs that Pete had already written and put together as demo’s. All parties hope that the new album can be recorded and produced in time for the start of their Moving On Tour, which kicks off in Grand Rapids, MI, another of my old stomping grounds, on May 7. The Who’s last studio album was 2006’s Endless Wire.